Windows 10 Fall Creators Update announced at Build 2017. Microsoft announced the latest update for Windows 10 earlier this week which is imaginatively called the Windows 10 Fall Creators Update, and will be coming to all compatible devices towards the end of the year. This comes as the company hosted its annual ‘Build’ conference in downtown Seattle instead of its previous venue of San Francisco. 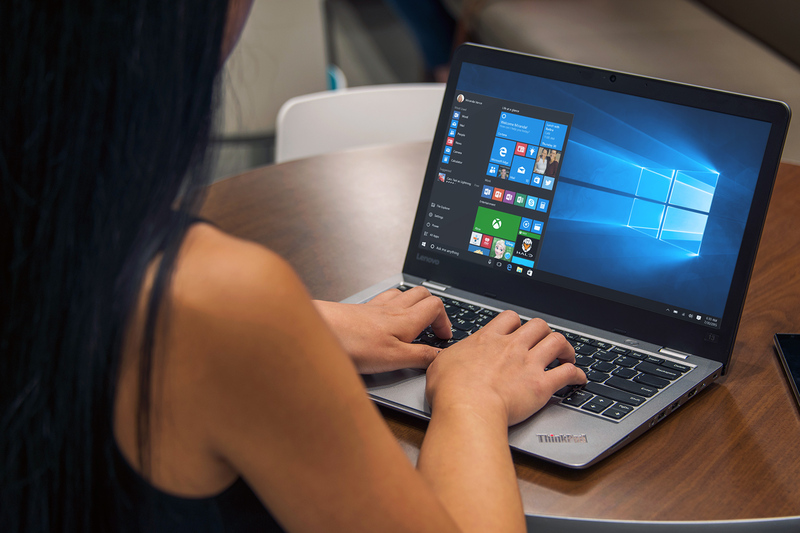 The company at the start of the year announced that it would be releasing two new updates to Windows 10 per year. Which is the operating system currently running on 500 million devices. The update is the second in Microsoft’s new twice yearly update strategy to try to keep the operating system fresh and exciting and not the dowdy old Windows which many will remember. It follows on from the original Creators Update that started rolling out to Windows 10 users last month, and while parts of it are tools to make users be more “creative”. There will be a whole host of new features but the most interesting bits will be Microsoft’s new commitment to continue adding their services on to the iPhones, iPads and Android devices people actually use, rather than the Windows 10 mobile phones they don’t. One of the key features in the Creators Update which most users were looking forward to seeing was the “My People” bar, but the Windows Insider team axed this feature before its launch. However, this feature will be coming to the Fall Update as it has been seen in Insider Builds. Story Remix is a movie making app, which some people have said it’s like an overhaul of the Windows Movie Maker which was seen in previous versions of Windows. The app takes your photos and videos and turn them into so called stories with their own soundtrack and theme along with cinematic transitions. It looks to be a cross between Apple’s features introduced in iOS 11 and Google Photo’s stories. It is all powered by the cloud which means it will work on Windows, Android and iOS and you can start on one device and finish on another. With Windows 10 S, if it’s not on the Windows Store you can’t run it until now. As Microsoft announced that Apple is bringing iTunes and Apple Music to the Windows Store. Allowing you to sync your music and movies with your Windows 10. Microsoft has finally realised that it cannot win on the mobile market against competitors like the iPhone and Android Devices. Microsoft Graph is that effort which uses Microsoft’s cloud to keep everything in sync across a range of platforms and devices from Windows to iOS and Android. Working like a cross platform version of Apple’s Continuity, Pick Up Where You Left Off let’s Windows users open documents, sites and other bits they were working on with Windows 10 on a iPhone or Android. This feature allows you to open a Word document, for example on your Windows 10 computer, save it and open it straight from your phone via the Cortana app. Timeline is like a time machine, it allows you to go back in time on your PC and allow you to see what you were working on across files, apps and sites and then jump back to continue whatever you were previously doing on that day. The Windows clipboard will get a cloud powered upgrade that will allow you to copy something on your Windows 10 computer and paste it on your Android or iOS phone or tablet. Apple has yet again beat Microsoft to the feature in its updates released to all its devices in September last year. The feature will work for text, pictures and links. OneDrive is Microsoft’s cloud storage system that’s baked into Windows and is available already on both iOS and Android but until now it has primarily worked as a syncing system that mirrors files stored locally to the cloud. With Files On-Demand, OneDrive will store things in the cloud with only links to those files stored locally on the computer downloading them as and when you need to access them. This will boost device storage but the files can be stored locally if needed while your offline for a while. That’s all the features that have been announced at Build 2017 that are coming in the Microsoft Fall Creators Update. Which will be rolling out in Autumn this year however there is no set date as it’s still a very much work in progress. ← Galaxy S8 vs OnePlus 3T – Which Should You Buy? I am most excited about the Fluent Design. I can’t wait to see Windows 10 look more modern; the win32 file explorer is getting old now!